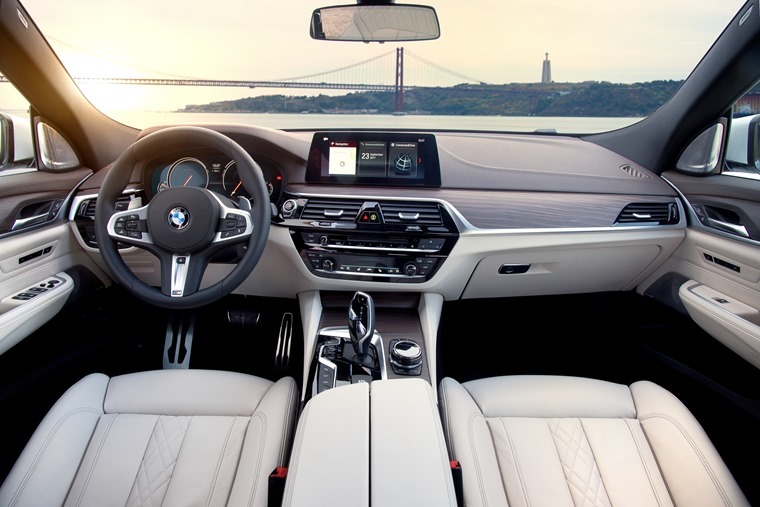 Following its debut at the Frankfurt Motor Show and with its launch coming up in November, the BMW 6 Series Gran Turismo aims to offer a unique combination of luxurious interior comfort and flexible practicality, packaged within a truly elegant design. While initially announced with only two petrol and one diesel engine, the BMW 6 Series Gran Turismo will be extended with a second diesel engine variant. The BMW 640d xDrive Gran Turismo offers a three-litre straight six-cylinder engine with BMW TwinPower Turbo technology features multi-stage charging with variable intake geometry for the high and low pressure chargers as well as Common Rail direct injection. It delivers 235 kW/320 hp and a maximum torque of 680 Nm to combine sporty performance and supreme ride comfort with a high level of efficiency. 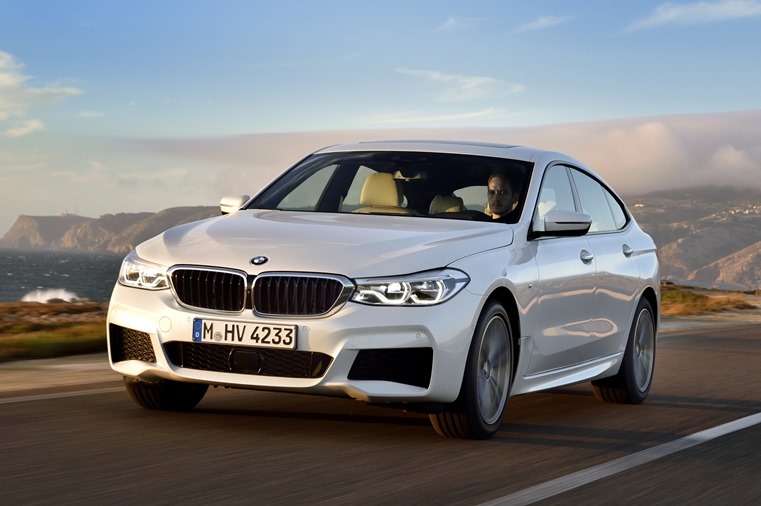 In conjunction with an 8-speed Steptronic transmission and the intelligent four-wheel drive system xDrive, the powerful diesel engine allows the new BMW 640d xDrive Gran Turismo to accelerate from 0 to 62 mph in 5.3 seconds. As for the 6 Series Gran Turismo itself, externally the car’s proportions are dictated by its boxy, upright roofline which from the back gives the Gran Turismo a fastback appearance. 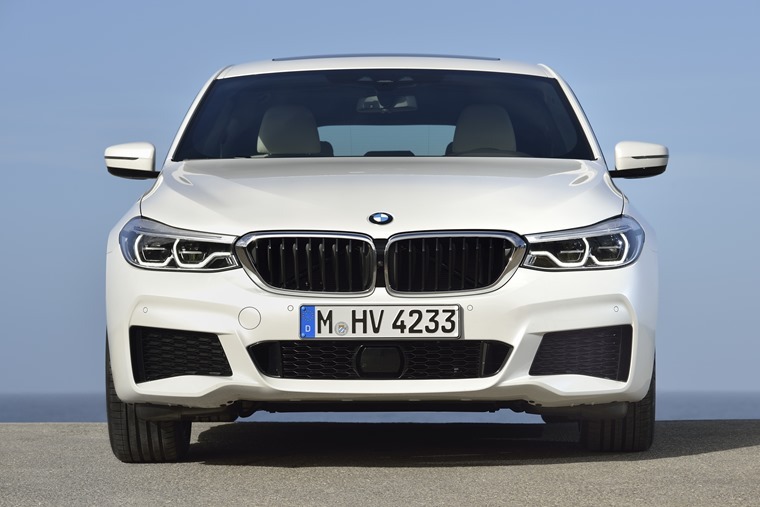 The roofline is however lower than the current 5 Series GT, and BMW’s latest styling cues are there, with a larger grille and thinner, more angular headlights. Whatever you think of the styling, there’s no doubt its high roof boosts practicality on the inside, where you’ll find a 610-litre boot as well as 40:20:40 folding rear seats – something you won’t find on BMW’s smaller saloons. 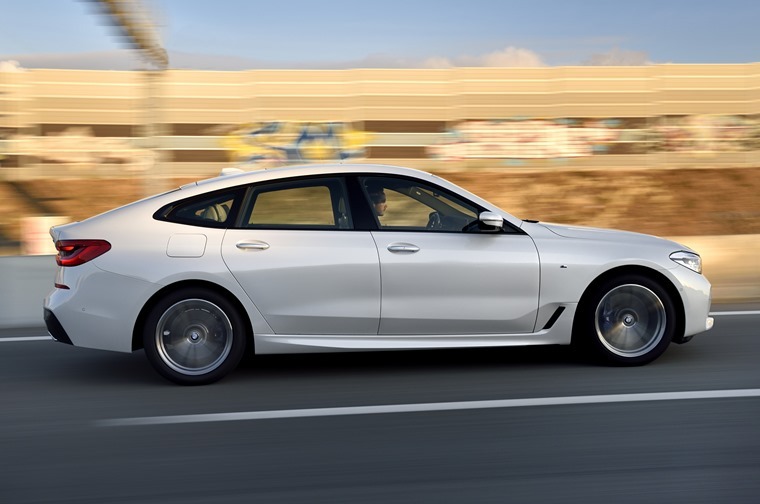 An exterior length of 5,091 millimetres (an increase of 87 millimetres on its predecessor), an unchanged width of 1,902 millimetres and a reduction in height of 21 millimetres (to 1,538 millimetres) give the new BMW 6 Series Gran Turismo dynamically stretched proportions. The interior has been designed to provide a driver-focused cockpit and an extremely spacious passenger compartment. The raised seating position optimises the driver’s all-round view and, together with the faultlessly ergonomic arrangement of the controls, helps to create an imperious sense of driving pleasure. Aside from the new 640d xDrive diesel engine, the petrols consist of the 630i and 640i, which produce 255bhp and 335bhp respectively. The smaller four-cylinder unit is capable of 0-62mph in 6.3 seconds and a combined mpg of 43.4, while the larger 640 six-cylinder gets from rest to 62mph in 5.3 seconds but only manages 35.3mpg. The 630d, which produces 263bhp courtesy of the 3.0-litre V6 unit, results in a 0-62mph run of 6.1 seconds and an impressive 57.6mpg. All variants are limited to a top speed of 155mph.